A daily calendar or a planner is immensely helpful these days so that you can keep a record on your on-going as well as upcoming projects or important tasks. Sometimes our minds skip some important work that had to be done within a given time. For this sole purpose, a daily Calendar Templates becomes a savior. It is available at various websites and is free to download. You just need to input your work details and time according to your necessity and you are good to go. Some of these template samples are listed below. This template provides you with a chart kind of diagram that has each day of a week in the horizontal row and a timeline in the vertical row. 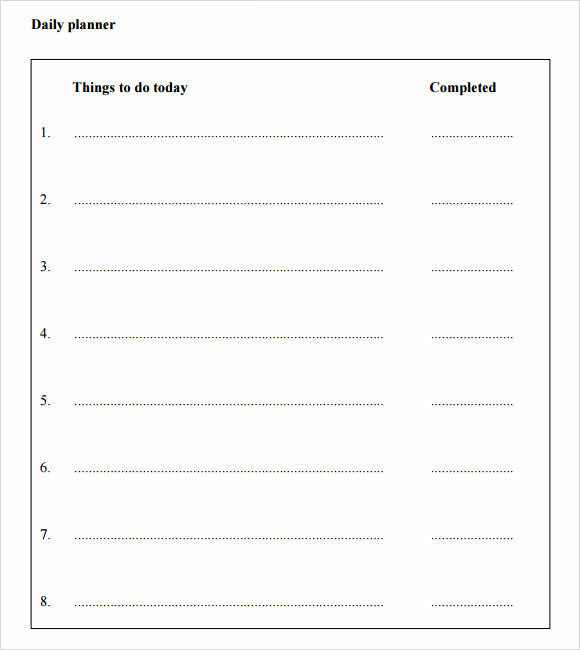 This template works in the Microsoft word format and hence you just have to fill in any box with a scheduled task. This is a daily calendar template which provides you with a simple chart that is created with the help of Microsoft Excel sheet. The horizontal row consists of days of the week while the vertical row shows the time. Such a type of calendar template is used for public convenience such as court hearings. 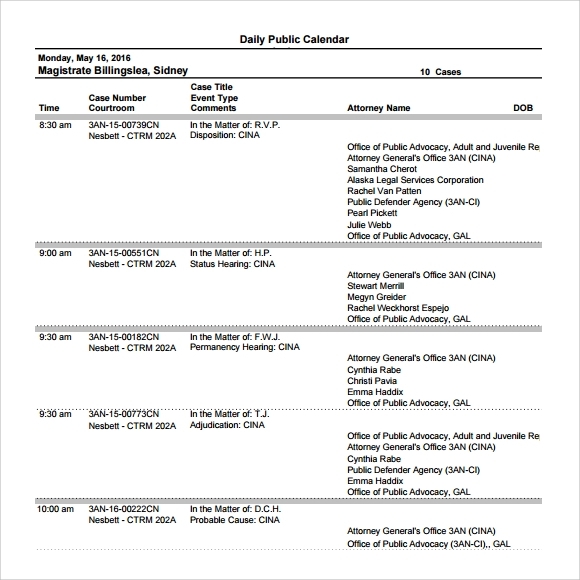 This template consists of columns like time, the case number, courtroom number, the type of a particular case and its attorney name respectively. It is more of a formal calendar template that is otherwise not used commercially. 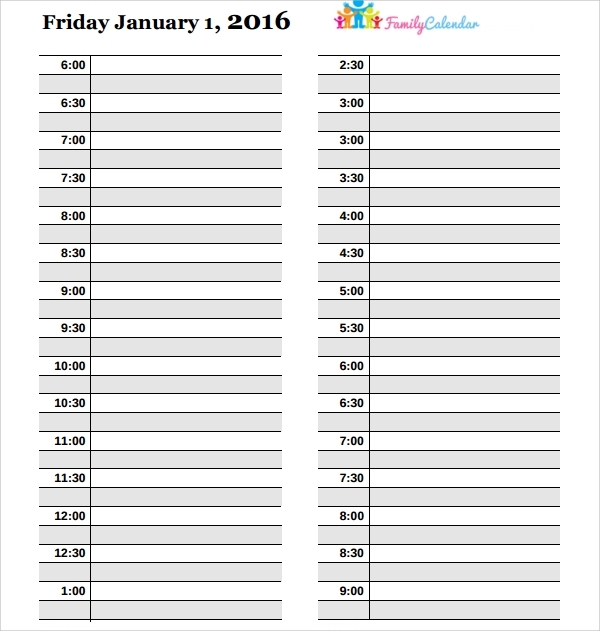 This calendar can be used for dividing departments of a particular educational institute. 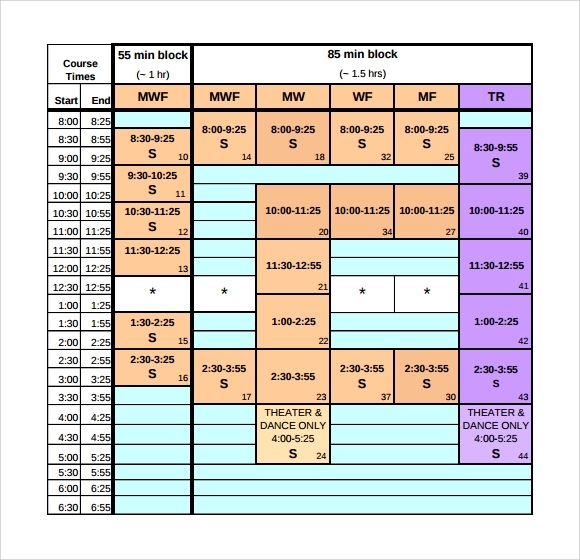 You can use this for scheduling courses for a department. The subject that is allotted to each section, time period of each class, special slots for departments offering a certain section in a semester; all this can be done with the help of this template. 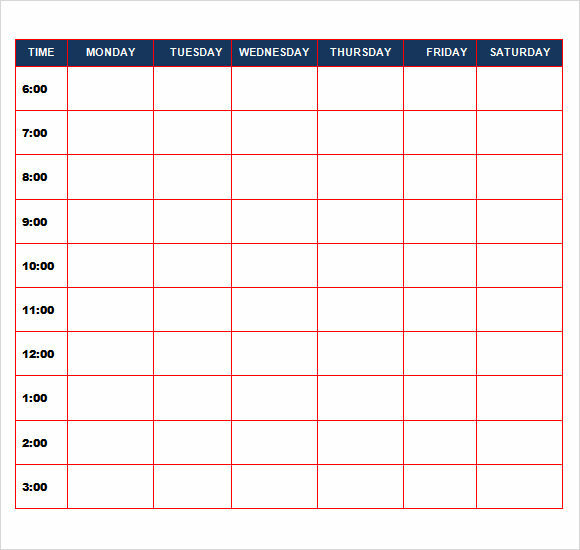 This template helps you to schedule your tasks properly. In this sample, you get columns of each month which are again subdivided into days of each week. 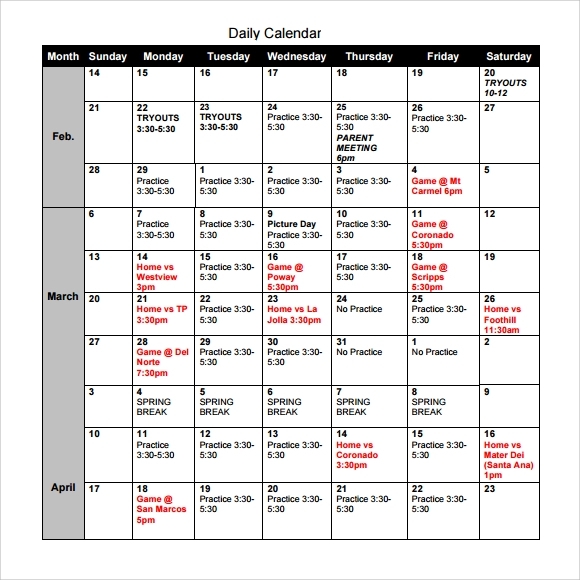 This template shows the lacrosse game practice of a particular team and how they have organized their dates and timings for practicing. This is actually the sequencing of a daily calendar. Primarily created for teachers, this helps in creating an interactive class with particular goals and activities to be completed within a given time. This also helps students to identify location and function of organs, and leads to improving their gross motor skills. 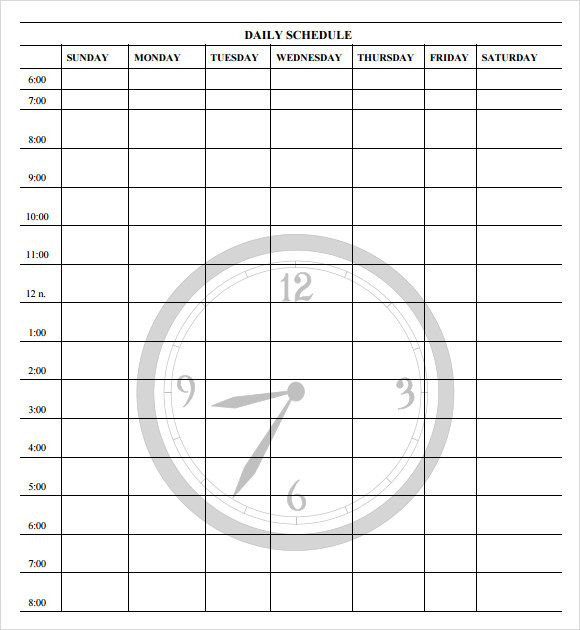 This is a pretty simple calendar template which consists of columns and rows that include the days of a week with a timeline as well. 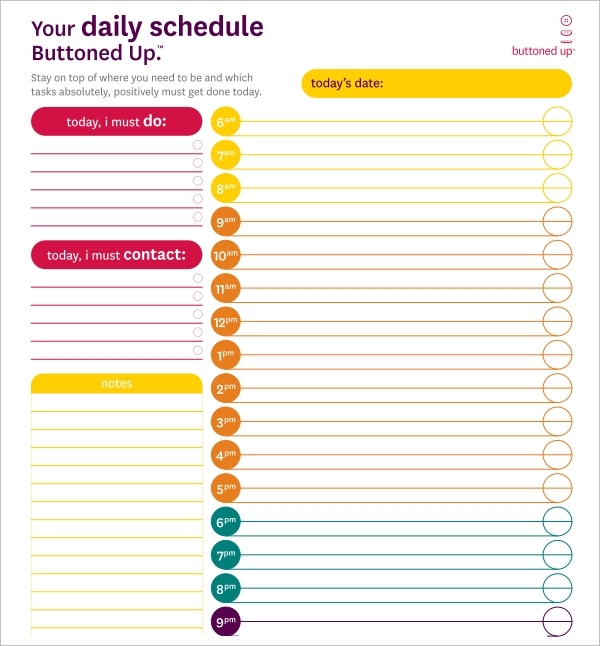 Such a type of daily calendar template can be used for multiple purposes. It works as a proper way to assign your pending tasks to the day of your convenience. There are times when you have a lot of pending work to do, and moreover you tend to forget quite a few tasks among them. For this sole purpose, this calendar template has columns where you list the work that needs to be done and another column is provided where you write about the status of that task (complete/incomplete). This is an easy way to keep a track on your tasks and it acts as a reminder too. 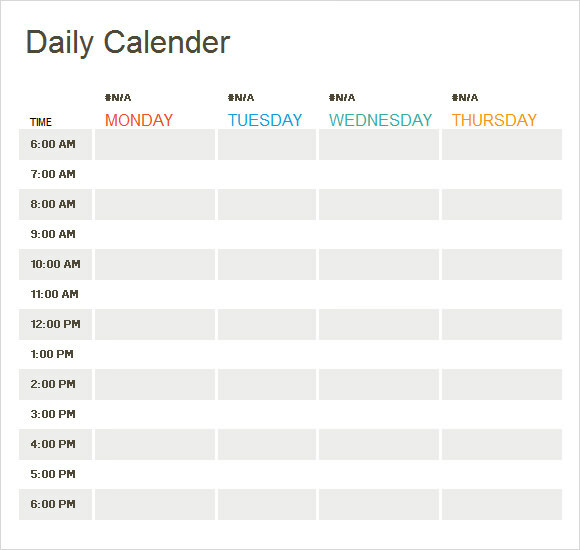 So, to conclude, a daily calendar template makes your work easier and helps you to complete an important work within a specific time. These kind of templates are found everywhere on the web. It is super easy to download and use them. 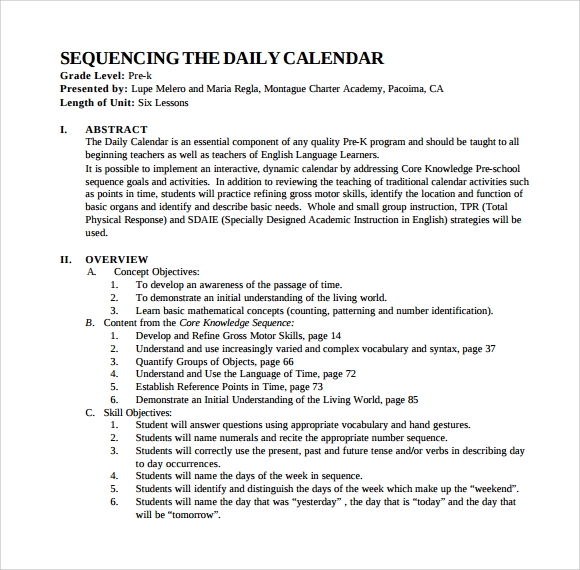 So you don’t need to keep a written record, just download these Calendar Timeline Templates and get a head start.